This site is dedicated to my work for The Elder Scrolls 5: Skyrim. Something is amiss at Hairan Keep. Tension between Skyrim and the empire are growing, yet the lord of an old border fortress doesn't seem to care. 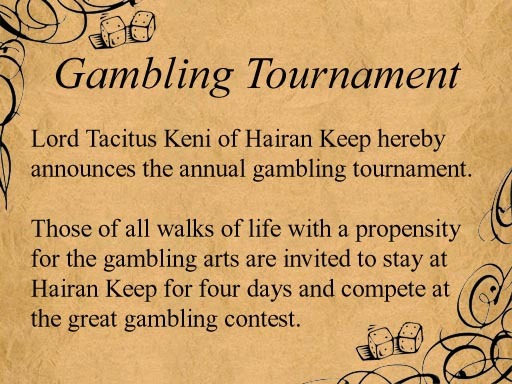 Festivities are held at Hairan Keep for no apparent reason; the recently announced gambling competition seems to attract lowlifes from all over the country; and what about the rumors of the lord's men raiding a nearby town? Hairan Keep continues the main plot of my Oblivion mod Thievery in the Imperial City. Whether you came to attend at the gambling competition, or infiltrate the keep to recover some recently stolen goods, you soon might be involved in plots and counter-plots and a gamble for much more than earthly goods. Why Wait For This Mod When You Could Steal It? Mind you, it's not easy. You might find yourself ditched on a remote jetty by the guildmaster. You might find that the Guild expects you to ransack a well guarded mansion. To go grave-robbing, Potholing. Or maybe -- if they're really doubtful of your abilities -- everything at once! 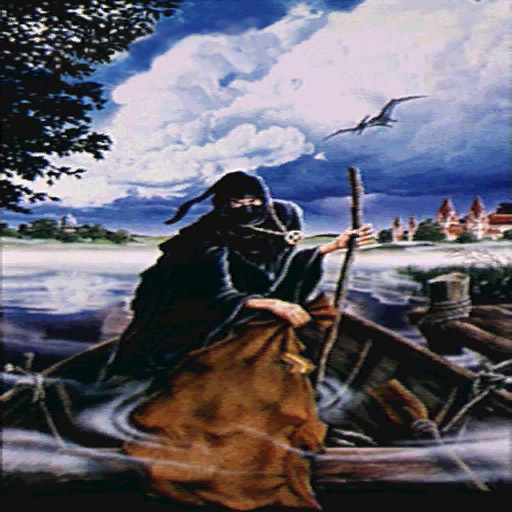 A text adventure (c) 1987 by Magnetic Scrolls - remade as a Skyrim mod.